Do you suffer from shoulder or neck pain? Or just want a comfortable sleep? The secret lies in getting the right pillow. 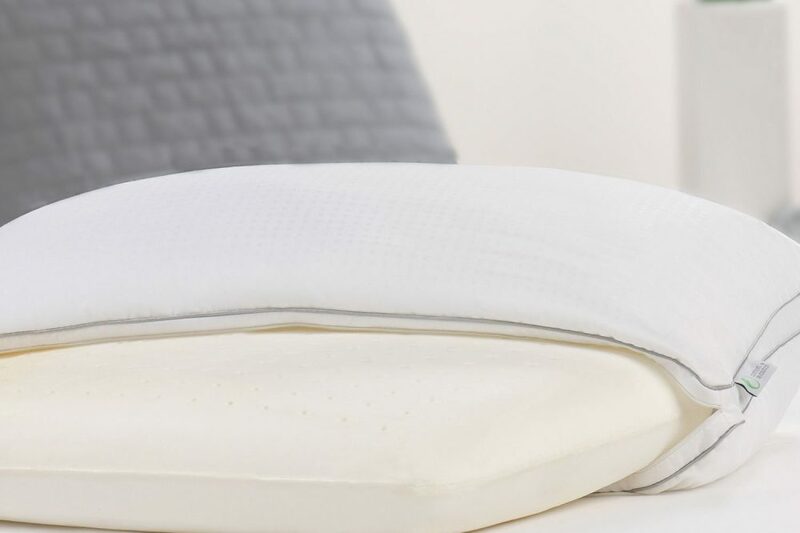 Finding the perfect balance of support and softness in your pillow might be tricky. Various factors such as size, shape and the type of sleeper you are (back, front, or side sleeper) can all affect the choice of pillow you settle for. Nonetheless, it all boils down to personal preference. The Sleep Council opines that a great pillow ought to hold your head in an appropriate alignment. What is meant by correct alignment? Correct alignment means that it ought to be in the same relation to your spine and shoulders as though you’re standing upright with your posture correct. The pillow ought to be tucked into your shoulder and neck in order to support your head and neck fully. If you are a side sleeper, always remember that you need more support. Possibly, you’ll need two pillows. Back and front sleepers, on the other hand, might benefit from a single soft pillow that is on the thinner side. Ideally, the best thing is to try your pillow before buying it. Even the best pillow will never last longer than a couple of years. Eventually, it will fail to offer the support you need. Others become potentially unhygienic. Is your pillow discolored? Do you frequently wake up with up with a blocked nose or neck ache? If yes, then it’s time for pillow shopping. Revel in the amazing comfort of Dreamfinity’s Memory Core Pillow. It brings with it ventilated memory foam which contours to each curve, thus getting rid of pressure points as well as enhancing circulation. It also boasts seed oil, charcoal and green tea in order to resist bacteria and natural odors. 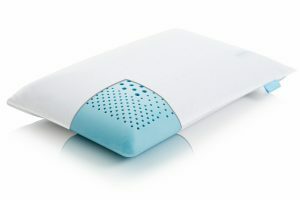 The pillow’s ventilated design enables it to perfectly adapt to the body’s temperature within any climate. 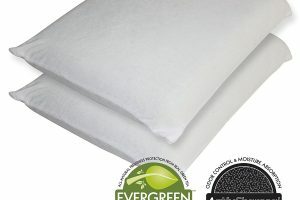 It has a plush, silky and hypoallergenic cover with an alternative fill that’s removable, as well as machine washable. 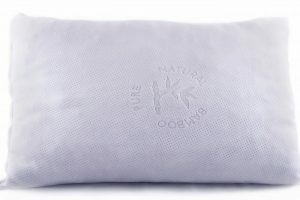 The Memory Core Pillow not only helps you rest deeply, you’ll also wake up feeling totally refreshed. 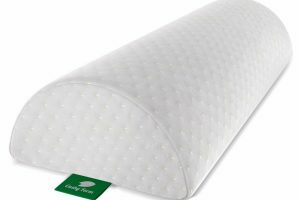 In comparison to the Hypoallergenic Bamboo Pillow and the Coop Home Goods Memory Foam Pillow, the Dreamfinity Memory Core Pillow performs fairly well—there is no doubt about that. 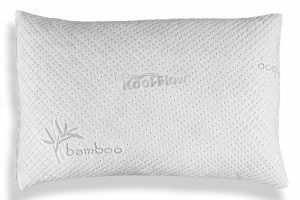 Just like the Dreamfinity Memory Core Pillow, the Hypoallergenic Bamboo Pillow and Coop Home Goods Memory Foam Pillow are among the best and most comfortable pillows available on the market. The three pillows have fabrics that are designed specially to regulate temperature as well as keep you cool. They have memory foam for effective air circulation. The three pillows are dust mite resistant. Undoubtedly, the Dreamfinity Memory Core Pillow stands out as the best pillow among the many out there. For starters, it ensures you have proper alignment of your cervical nerves, meaning you are guaranteed of an excellent night’s sleep. 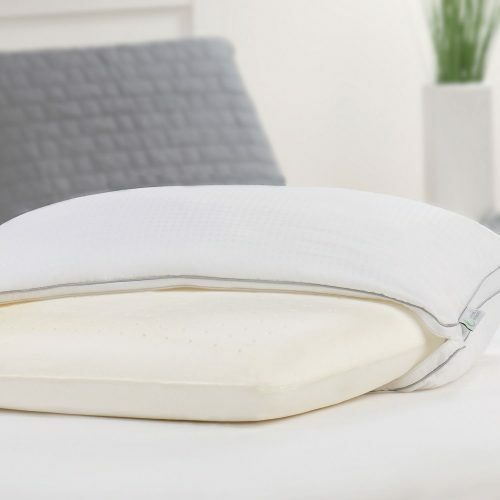 With this pillow, you no longer have to wake up suffering from neck pain, insomnia, migraines, TMJ, tingling in your fingers or even snoring at night. Additionally, it provides the shapeability, breathability, and plushness of down. When it’s time for bed, comfort is all that is on many people’s minds. A pillow can be handy in helping you fall asleep in minutes, or toss/turn all night long. By settling for the ideal pillow, you can say goodbye to sleepless nights. If you’ve spent countless hours shopping for the best pillow, then you surely understand the endless nature of the options available. The market today has an array of pillows that guarantee utmost comfort and function. Whether you are into a sturdy, standard option, or the contour shape styles, there is something for you.